What makes a pearl valuable? Nacre: Nacre thickness is one reason seemingly identical pearls may be priced differently. Nacre impacts a pearl’s color, luster and durability. Seawater pearls remain in the ocean for around two years to develop sufficient layers of nacre. Size: Most commonly ranging from 2-13mm with larger sizes being more valuable. Sizes larger than 13mm are rare. Luster: A lustrous pearl has a strong, bright, sharp reflection, an inner glow. Color: Colors range from shades of white, cream, yellow, lavender, pink, green, silver, grey to black. A pearl consists of the same material as inside the mollusk’s shell and this determines the color. Surface: Pearls are a natural product and small natural imperfections are quite acceptable. Fewer imperfections visible to the naked eye make the pearl more valuable. Shape: Pearls develop into a variety of shapes. Round pearls are the rarest and command the highest prices. Baroque pearls are valued for their uniqueness. 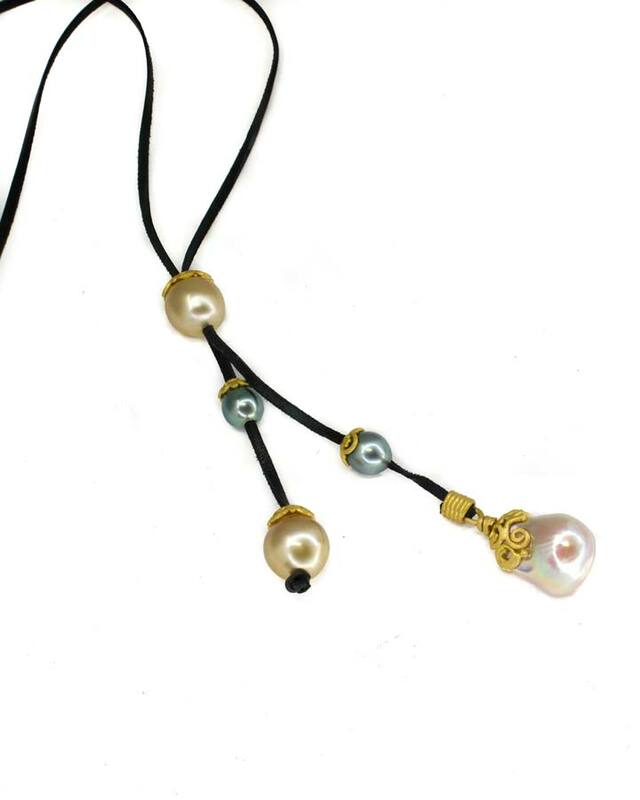 All South Sea, Tahitian pearls come from the ocean and are grow in oysters. All fresh water pearls from China, America, and Australia are grown in mussels. South Sea pearls come from Australia, the Philippines and Indonesia and are valued due to their large size and rareness as well as their beautiful white or golden color. Tahitian black pearls are formed by Black Lipped oysters. Tahitian black pearls are rarely jet black but predominantly green and also blue, aubergine, peacock and more. Keshi is an irregular shaped pearl without a nucleus and composed of all nacre. This happens when a mollusk rejects a nucleus and grows a “free form” pearl. Biwa pearls come from Lake Biwa in Japan, a large freshwater lake near Kyoto. Akoya pearls are the original Japanese cultured pearl. Pearls have been prized for their beauty and rarity for more than four thousand years. From ancient China, India, Egypt, Imperial Rome, the Arab world and Native American tribes throughout recorded history have valued pearls longer than any other gem. In China, pearls were thought to be from dragons fighting in the clouds causing raindrops which were swallowed by oysters. In Hindu culture, pearls were associated with the Moon and were symbols of love and purity. 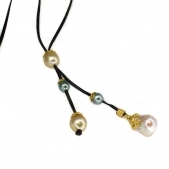 The ancient Greeks believed that wearing pearls promoted harmony in marriage.